Unmarked face, but the movement denotes this as Goldsiegel (Gold Seal) sterling watch by KP. 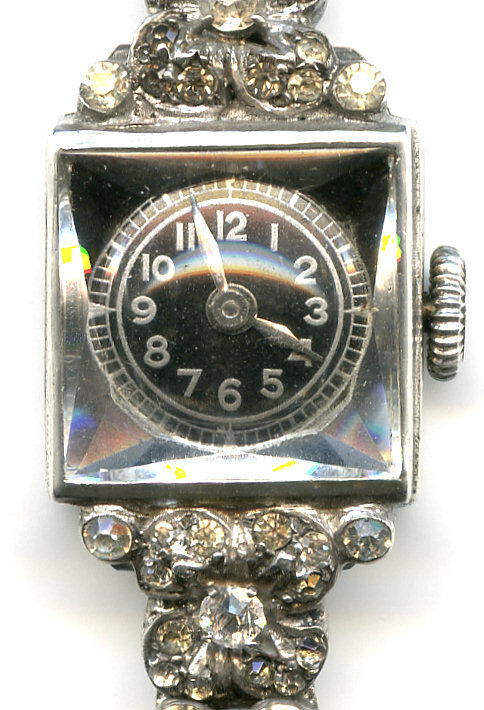 The face is black enamel and the numerals, hands, and minute hash marks are silver. Many of the pastes have darkened but I had to have it for my collection. The jewel-like faceted square watch crystal was patented by Knoll & Pregizer.